Home addition: A home addition is one of the best ways to increase functional space in your home while also boosting its overall value. You can even rent out your addition for a little extra income. However, whether you want to add a single bedroom or increase your home’s square footage significantly, this improvement requires a significant amount of time, effort and money. 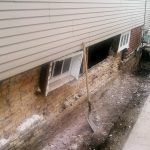 To begin with, you will need to have a new foundation laid and connected to your existing foundation with help from a concrete contractor in Racine, WI. Kitchen remodel: The kitchen is the centerpiece of your home’s living space. It’s where you gather with friends and loved ones to share meals and spend quality time together. Unfortunately, many people are unable to entertain in their kitchen because of space constraints. Others choose not to show off their kitchen because it’s old or outdated. A kitchen remodel can transform the atmosphere of your entire home. You can make updates that increase aesthetic appeal and functionality alike. Landscaping and hardscaping: Not all home improvement projects are about improving your indoor space. Transforming your home’s exterior with hardscaping and landscaping features is a cost-effective way to dramatically increase the appeal of your home. You will be able to enjoy more time outdoors, and potential buyers will be drawn to your home based on its exterior appearance. You can add unique features and maximize your space by adding retaining walls for planting and erosion control. Masonry pathways are another great way to add visual interest and functionality to your yard. Whether you want to add unique hardscaping features to your yard or you are interested in building an addition to your home, you can get assistance with concrete and masonry that you can rely on from the team at Langenfeld Masonry & Concrete. We have been in business since 1912 and we have a continued commitment to delivering the highest quality work possible to all of the clients we work with. With over a century of experience, we have the knowledge, background and resources necessary to tackle a wide range of projects for commercial and residential customers alike. We want you to be as informed as possible about our services, which is why we would be happy to provide you with a free estimate. Reach out to our experienced concrete contractors in Racine, WI today for more information! Why Would I Waterproof My Basement? Should You Patch, Repair or Resurface Your Driveway? We Can Help!